I have had this recipe saved for sometime on Pinterest, and finally got around to making it! 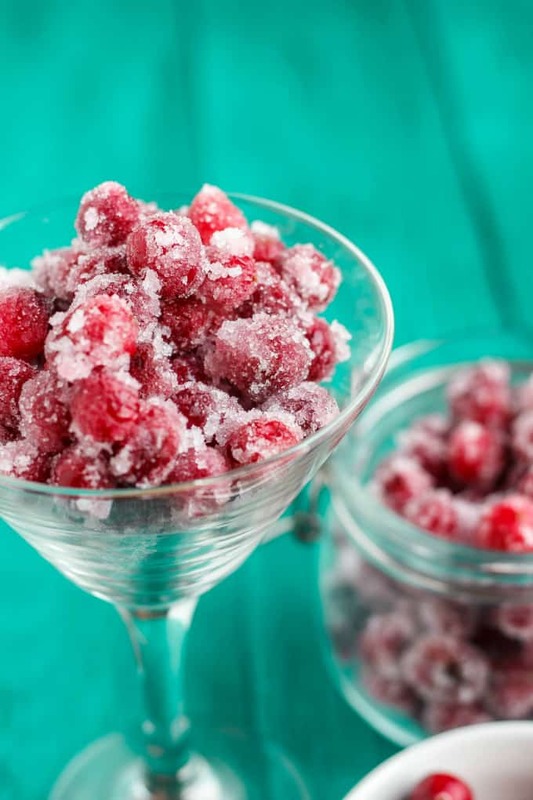 Simple, quick (minus the chilling time in the refrigerator,) and sooooo good! I had to beat hands away from the baking sheet in order to save the goodies for the Christmas cake I had in mind! These candied cranberries with Amaretto liqueur were the perfect addition to my Christmas cake. 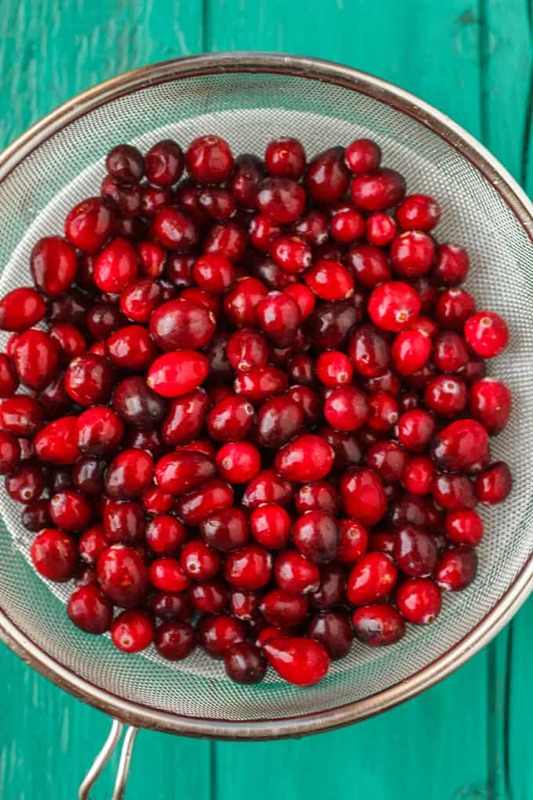 I had the idea immediately when I saw the recipe for candied cranberries, but I had to wait until the holiday season for the fresh cranberries to appear in stores. 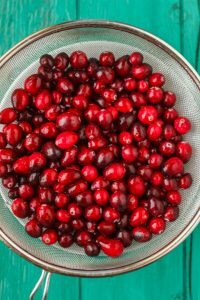 I could eat these cranberries all day, as would my daughter and husband. However, they are loaded with sugar (candy anyone?) They are a nice treat during the holiday season but I know keeping a batch of these around would be the death of me! You could easily change up this recipe by adding in vanilla or orange like Sommer did at her blog A Spicy Perspective. I knew I wanted Amaretto with the cranberries, and the results were amazing! And do not throw out that liquid after you remove the cranberries! 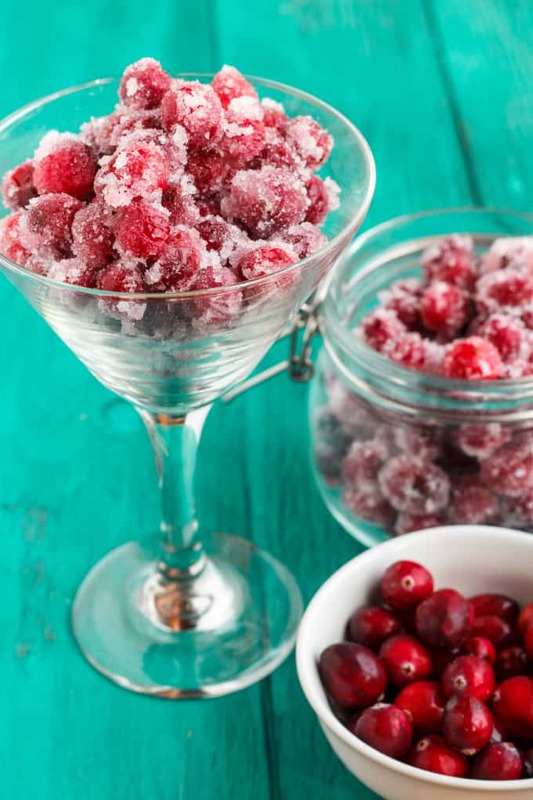 It is a great cranberry syrup for Christmas drinks! I have yet to use mine, but I have some ideas in mind. A couple of helpful tips before you begin. I used my medium-sized pot to place the cranberries into, and the lid of my pot one size smaller. You want the smaller pot lid to rest directly onto the cranberries so that they stay submerged in the liquid. Then cover the pot entirely with the medium pot lid. You could use a plate instead, but I had none that would fit into the pot. Another helpful tip. 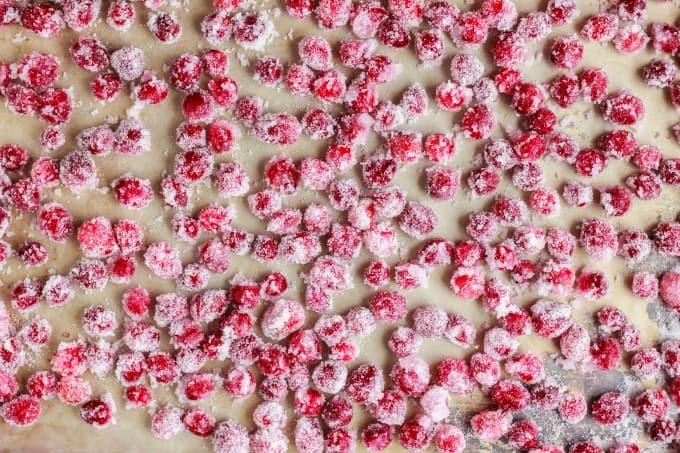 Only sprinkle out 1/2 cup of sugar at a time to roll the cranberries into. 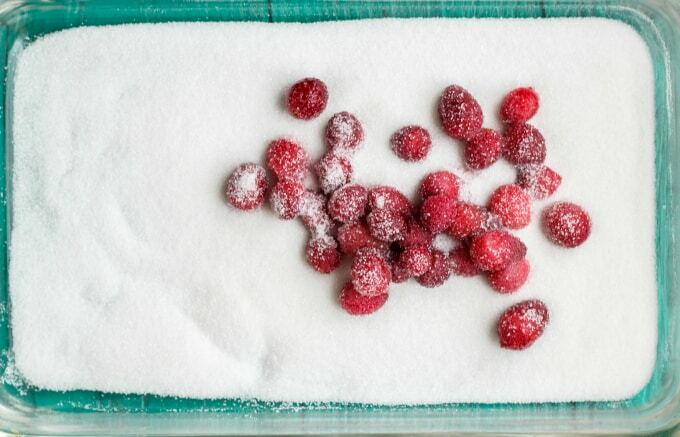 The excess liquid from the cranberries will eat up the sugar quickly, resulting in pink sugar clumps. 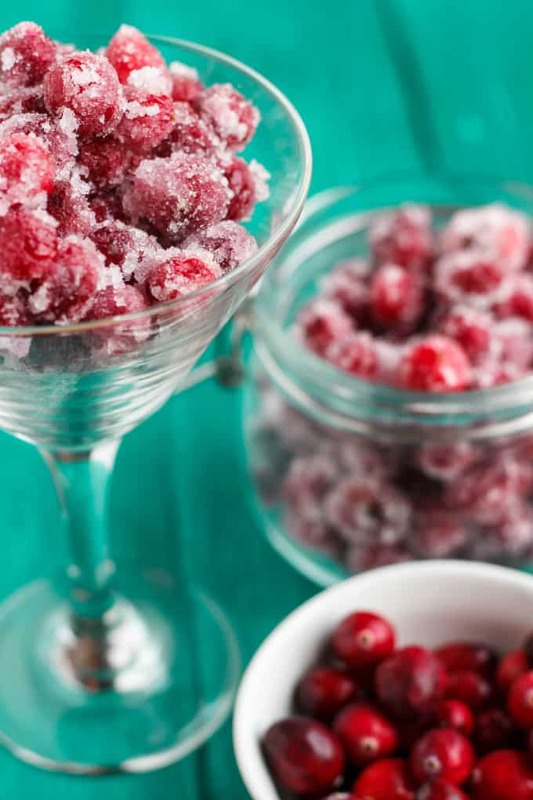 Just add more sugar and continue until no cranberries remain. This way you do not waste sugar, and the remaining pink sugar can be used to decorate the rims of Christmas drinks! 1 3/4 cups granulated sugar + 1 cup for rolling the cranberries in. In a medium-sized saucepan, add the 1 3/4 cups of sugar, water, and Amaretto. Place over medium heat and cook until sugar dissolves, stirring frequently. You do not want the mixture to boil, but you want a hot liquid. Add the cranberries and stir to combine. 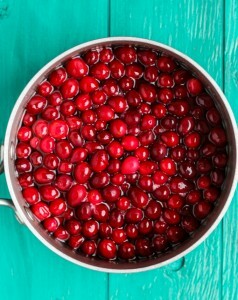 Remove from heat and cover with a lid or plate DIRECTLY onto the cranberries. I used my pot lid for the next size down. Then cover the pot with the correct size lid. This way, the cranberries are staying submerged in the liquid and you are stopping any dust/food from falling into the pot. 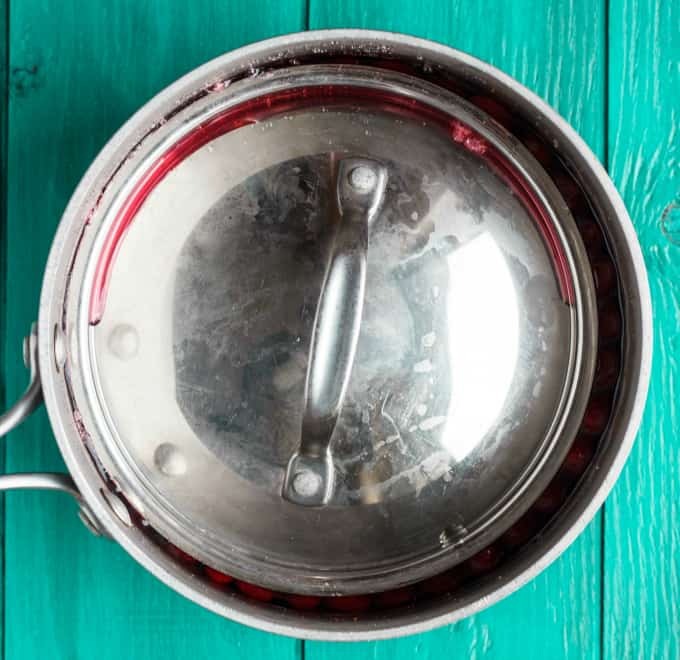 Allow the pot to cool significantly, pretty much to room temperature, and then place into the fridge overnight. The next day pour about half a cup of sugar onto a plate or baking sheet. 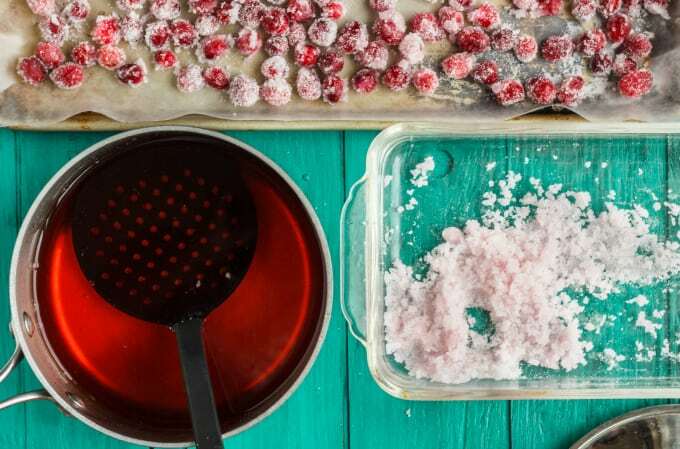 Remove the cranberries with a slotted spoon and place onto sugar. Roll the cranberries around or sprinkle sugar on top of them until coated. Move to a baking sheet to dry. Continue until all cranberries are covered, add more sugar when necessary (I found I did not use an entire cup of sugar, so this way I did not waste a ton. 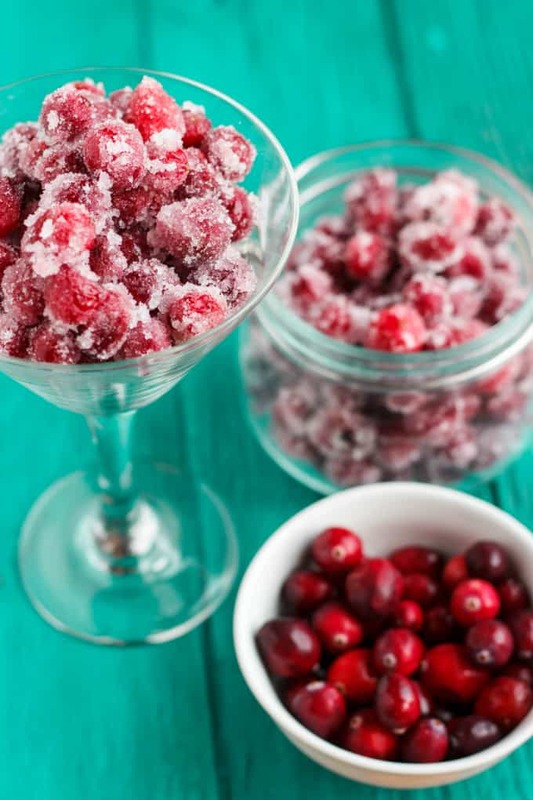 The leftover pink sugar from the cranberry juices can be used as a decorative touch for a Christmas drink!) Allow to dry completely before storing in an airtight container in the fridge. I am so happy with this creation and I love how it turned out on my Christmas cake! I want to try these with a cheesecake next because they look would be stunning, and tasty! I reduced the sugar quite a bit in this recipe, and might do so more next time. EDIT: I made these candied cranberries again for my lemon cheesecake and I reduced the sugar even more with no issues. I have reflected that in this recipe. However, raw cranberries on their own are very sour and bitter! Trust me, do not make the mistake of biting into one! It is not like cranberry juice at all (how naive I was!) But I do not see why you could not sub in other sugars or sweeteners to suit your dietary needs.